Discover our signature restaurant offering an indulgent selection of regional and international cuisines freshly prepared by our chef’s using only the best of seasonal ingredients. 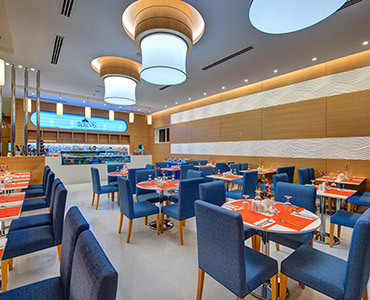 Spices restaurant is a creative all-day-dining destination ideal for breakfast, lunch or dinner. It offers an array of mouthwatering delicacies, both local and international. Enjoy a fizzy international buffet breakfast, while a la carte menu for lunch and dinner. 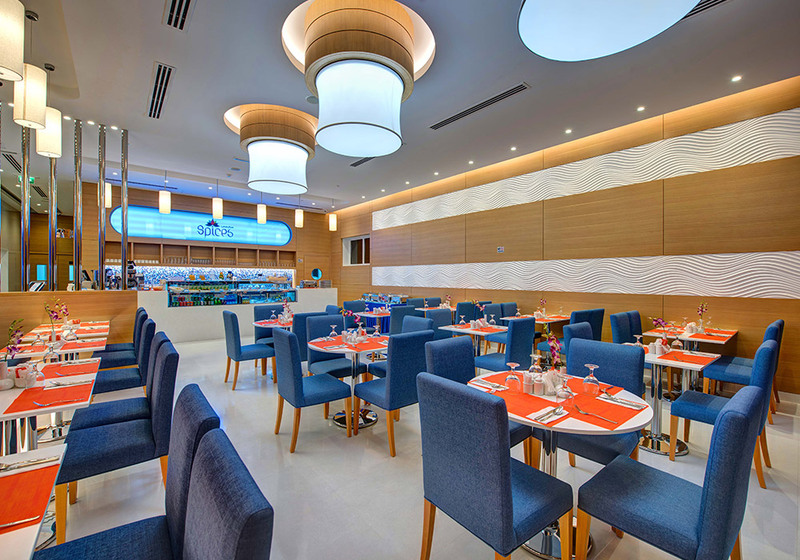 Connected with the restaurant is a Deli where guests can sit down relax for a cup of freshly brewed coffee, fresh juices and snacks like sandwiches, burgers and cakes and a variety of ice cream flavours.